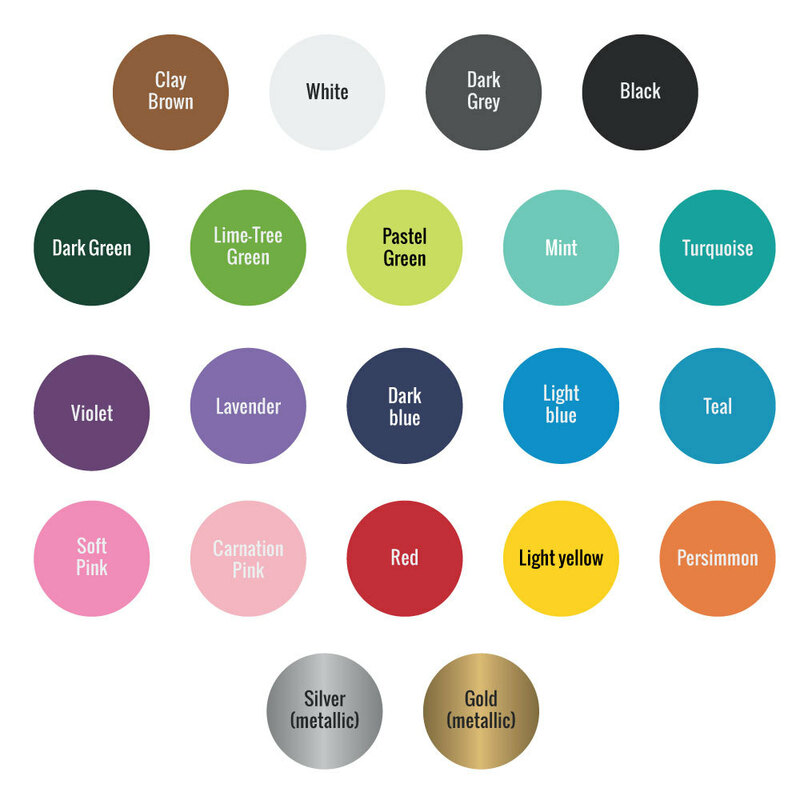 Enhance your nursery with this charming and peaceful wall decal. 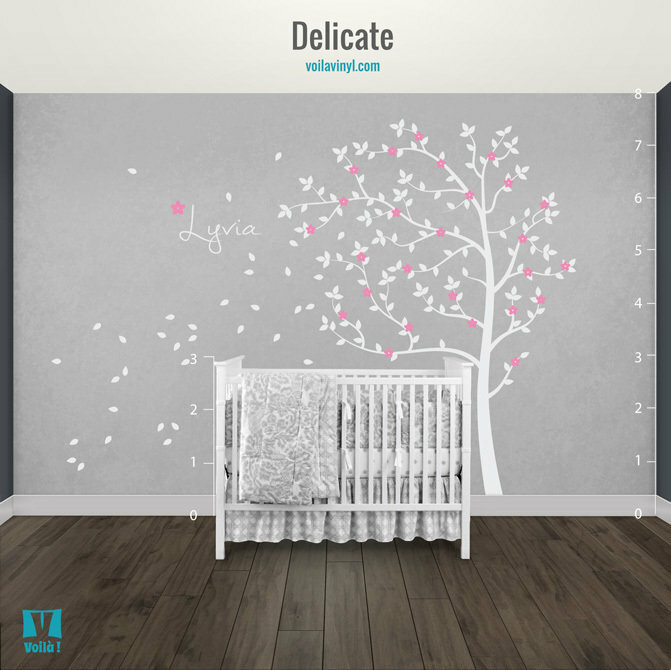 A delicate tree that will bring a touch a elegance in your baby's bedroom. Very easy to install and removable! 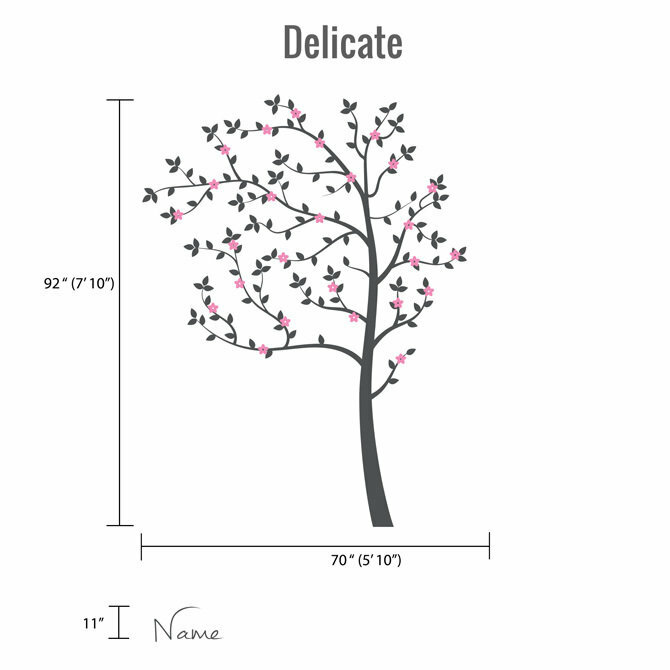 This decal consists of a tree with leaves, a set of 26 flowers and a name.